Accurate measuremetns are essential to planning your new kitchen. With these measurements your designer will be able to help you create your dream kitchen. 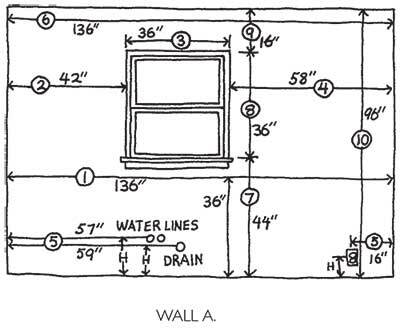 Using the measuring procedure illustrated, carefully prepare a simple floor plan of your existing kitchen. Your completed floor plan should resemble the diagram shown. Make sure you show the exact locations of doors, windows, range hood vents, gass lines, water lines, drains, switches, outlets, outlets, light fixtures, and vents. Using a tape measure and graph paper, measure as outlined. 1. Measure from wall to wall at 36" height. 4. 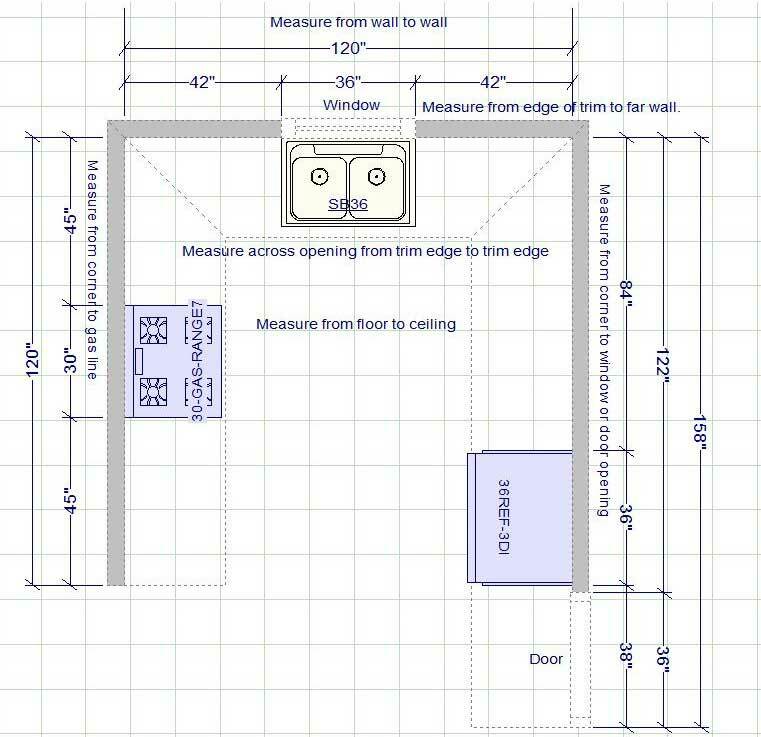 Measure from edge of trim to far wall. Compare sum of #2 and #3 and #4 measurements to step#1. 5. 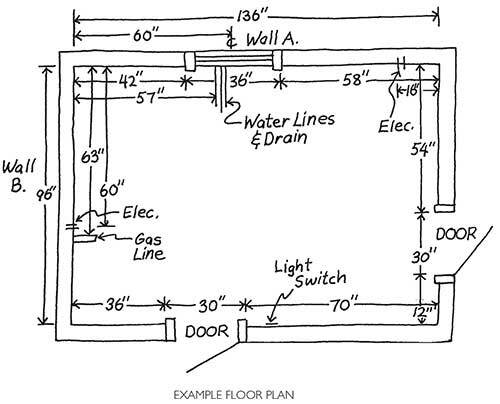 Mark exact locations of water line, drain, gas line and electrical outlets/switches on drawing. 7. Measure from floor to window sill. 10. Measure from floor to ceiling. Compare to sum of #7, #8, and #9. 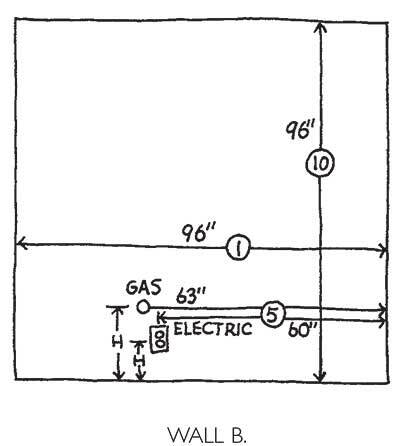 Show desigred locations of appliances on drawing. it is very important to indicate natural gas locations, 220 volt outlets, and wall mounted telephone locations (T) and cable TV outlet location (CTV). The very first step of the planning process is to determine the possible layout of your kitchen. There are five basic kitchen shapes: Striaght, Galley, L-shape, U-shape, and G-shape. The work triangle is the standard configuration use by professionals for designing efficient kitchens. The three magical points are the areas between the refrigerator, range and sink. The STRAIGHT configuration is good for small homes and apartments. 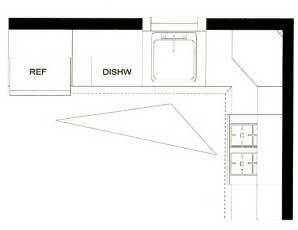 It offers the least efficient kitchen plan but maximizes space. 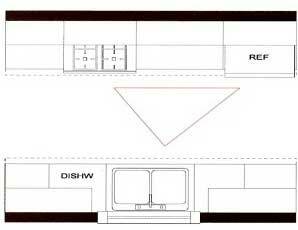 The GALLEY configuration is efficient for up to two cooks in the kitchen. However, the shape allows little extra room for crossing household traffic. 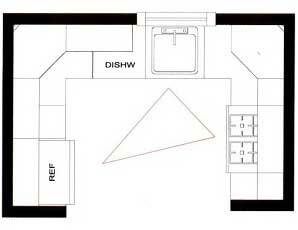 The L-SHAPE kitchen is the most common kitchen layout in American households. It provides a good amount of continuous counter space, and the magic work triangle is executed perfectly. This Design can also allow for the inclusion of a dining area or island. The G-SHAPE kitchen is a step up from the U-Shape kitchen. This design adds extra cabinet and counter space. 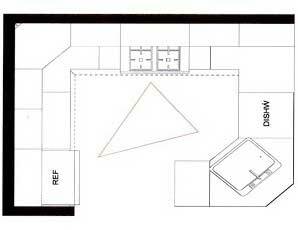 In order the avoid feeling too closed-in, this layout works est when two of the walls are open to adjacent spaces. The U-SHAPE kitchen is ideal for the solo cook. The continous countertop and cabinets surround the cook on three sides, putting everything within reach. 1. The finest maple wood is sanded until smooth and vacuumed. 6. 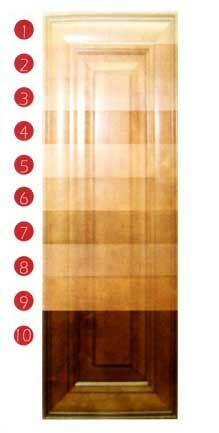 A wood sealer is then applied, pentrating all exposed wood surfaces for uniform protection. 10 Afinal protective top coat is applied, maximizing resistance to scuffing, moisture, fading and most household chemicals. Maple is strong, fine-grained wood that is mainly off-white in color, athough it may contain light hues of yellow-brown or pink. it may also contain natural imperfections which add character and uniqueness to the wood. To remove dust, use a soft, lint-free cotton cloth to wipe down all exterior and interior surfaces. Use a soft, lint-free cotton dampered with a mild detergent or soap, and warm water. Do not leave printed materials (newspapers, magazines, etc.) on the cabinet surface. The printing ink can bleed into the cabinet finish. Always protect wood surfaces by using hot pads under hot items. Do not allow oven cleaner to touch any part of the cabinet. Avoid sliding objects across the cabinet surface. 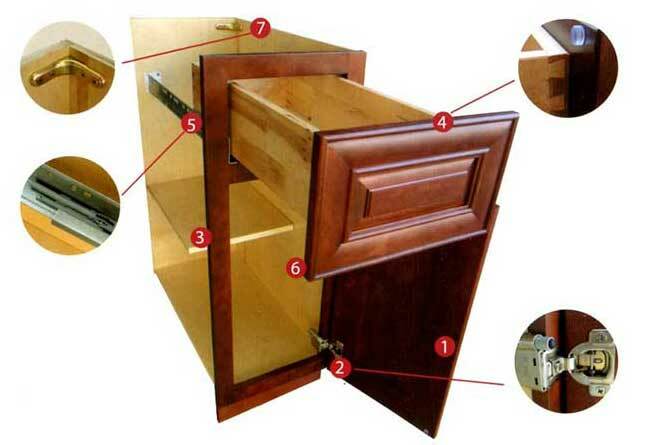 Be careful with knives and other sharp objects that can damage the cabinet. 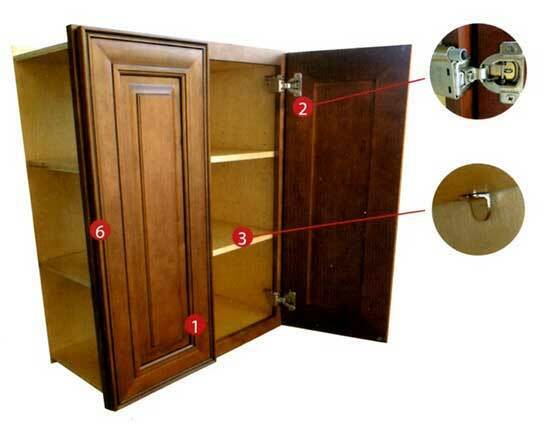 Be careful with knives and other sharp objects that can damage the cabinet surface. When in doubt of a cleaner's suitability, don't use it. Harsh cleaners and detergets may scratch and penetrate the surface, allowing food or moisture to enter and cause deterioration of the finish. Never leave a cloth moistened with cleaners on a cabinet surface for any length of time. Apply the glass cleaner directly to a cloth rather than the glass or mirror. Ammonia should never be used full strength.